It’s a cool spring morning, low cloud crowned by high cirrus moving through pale blue as I step into the southern end of the meadow. May’s coming but isn’t quite here yet. April still has one more day to give, and this is it: sky high and fine, breezes dry and easy, open-throated songbirds on the wing as the sun continues to climb. Somewhere near the northern end of this meadow is Joshua’s Cache (GC1M422), my sole geocaching objective for the day here in Ellanor C. Lawrence Park. Finding the hide is only part of what’s so satisfying about geocaching, though. You never know what interesting discoveries you’ll make along the way. Winding my way down to the north end of this green space brought another world into clear focus for me, a world I hadn’t paid close attention to for a long time. Two of its emissaries were just around the bend. Larry and Marcia, binoculars in hand, introduced themselves to me as I approached ground zero for Joshua’s Cache. They lifted their eyes to the treetops as I lowered mine to the ground in search of the hide, which wasn’t revealing itself easily. While my search wasn’t going so well, they’d been successful in theirs for over an hour. Larry and Marcia said they were there to observe the tail end of the weather-delayed spring songbird migration, and this meadow was both a stopover point for some birds and a final destination for others. I told them I was a geocacher looking for a particular geocache, which of course prompted me to explain the basics of geocaching. They in turn showed me all that was really going on in that meadow — who was just passing through, who was here to stay. I’d once been a birder myself as a boy, I told them. I’d grown up in Maryland wanting to see my state bird, the Baltimore Oriole, but had never managed to lay eyes on one. 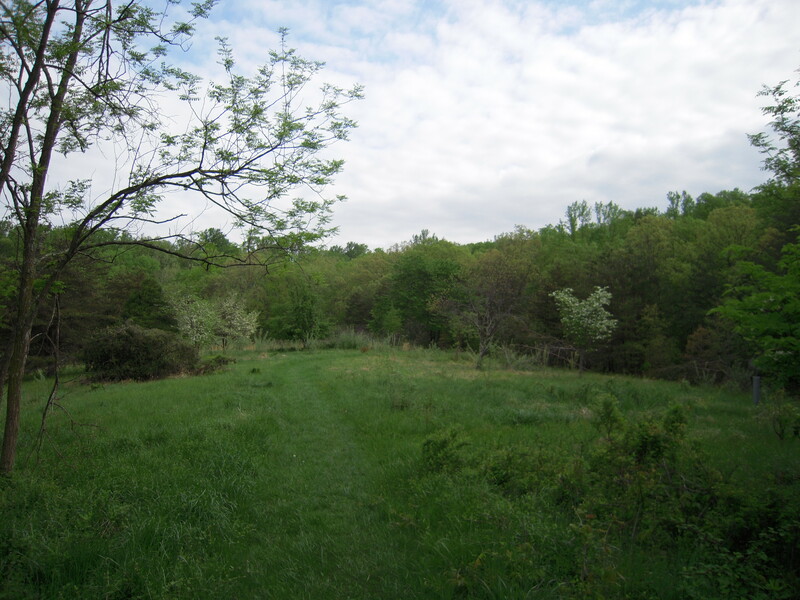 Now, decades later, I’m standing in a meadow with two people who are very happy to inform me that Baltimore Orioles are in the trees on the edges of this meadow right now, and would I like to see them? The wonder of birds on the wing that so captivated me when I was young came flooding back to me in the moment I raised a pair of their binoculars to my eyes and finally saw the elusive Baltimore Orioles of my boyhood. I thanked them for that moment, and they wished me luck in my search for Joshua’s Cache as they moved further along the trail. A bit later I was able to show them the interesting cache container and they watched me sign the log. It’s all about the journey and the moment, always. You might enter one end of a meadow with one thing in mind and come out the other end with some other gift just as special, just as wonderful, something you’d never considered. All you have to do is go. This entry was posted in found it and tagged birding, Centreville, Ellanor C. Lawrence Park, GC1M422, geocaching, just write, migration, nature, photos, traditional cache, Virginia. Bookmark the permalink.